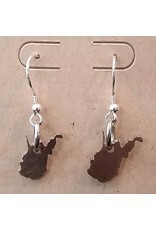 Cute and sweet, these mini dangle earrings are perfect for adding a little hometown style to your day. 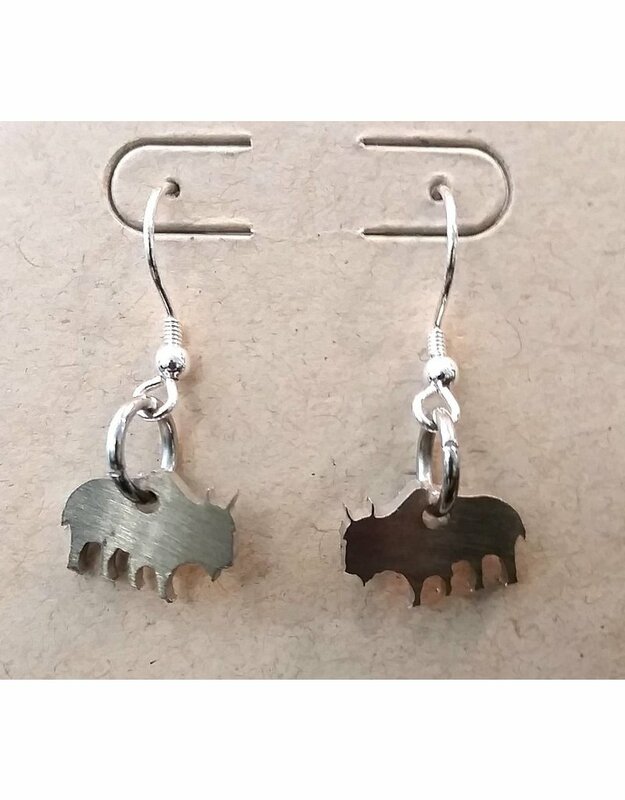 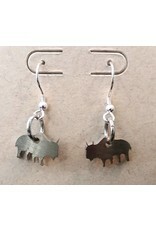 Fashioned in stainless steel, these cutouts hang from silver ear hoops. 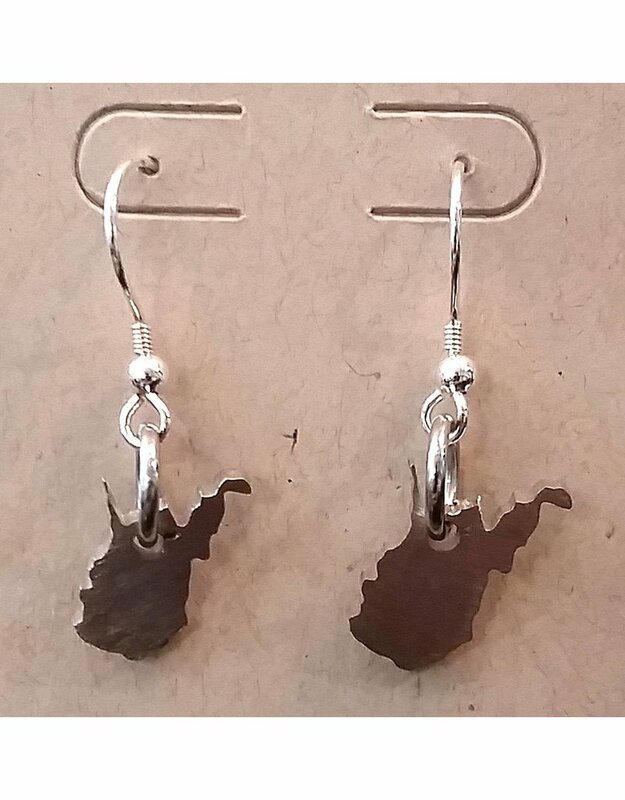 Choose either West Virginia or a bison design.